Wow! I haven't updated my blog for a few days -- I'm becoming just as bad as my sisters, Krissy and Becky, who haven't updated their blogs. Although they have better reasons than I do -- kids, Lego League commitments, farming, coaching, etc. My reasons? Crocheting and shopping. See this beautiful scarf? I made it for Charlie's birthday. The scarf also marks a huge milestone for me -- crocheting the width of the scarf NOT the length. Because I really never mastered the art of straight edges in crocheting, I always crocheted scarf lengthwise because hiding the uneven edges was so much easier. 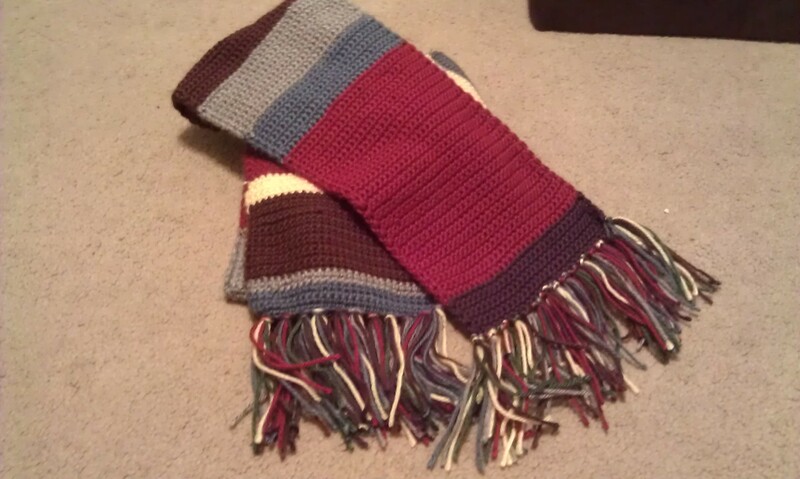 However, the Doctor Who scarf made me confront my handicap and learn from my mistakes. After three miserable attempts, I somewhat mastered the art of even edges AND not knotting the yarn when changing colors. Thank you, World Wide Web, for all of your resources. From the web, I learned how to successfully change colors of yarn without knotting them and add fringes to the completed scarf. 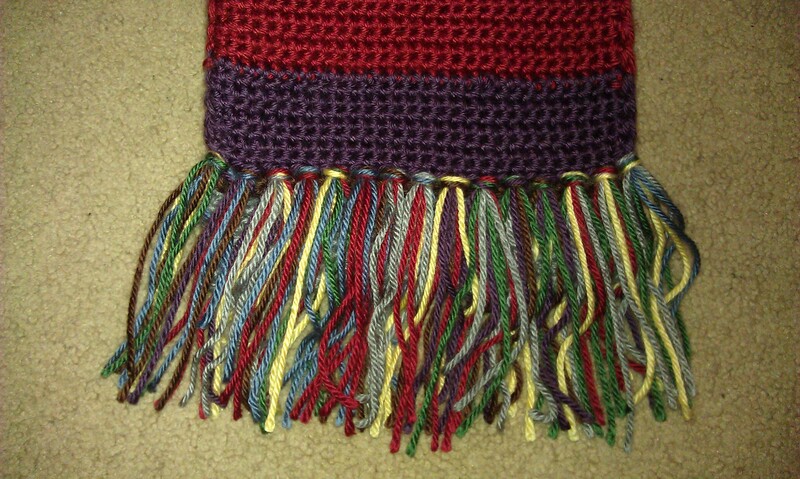 And I have to admit that the fringes are my favorite part of the scarf. The above picture is my miserable attempt three at the scarf. The edges were so noticeably uneven that I had to chuck attempt number three. 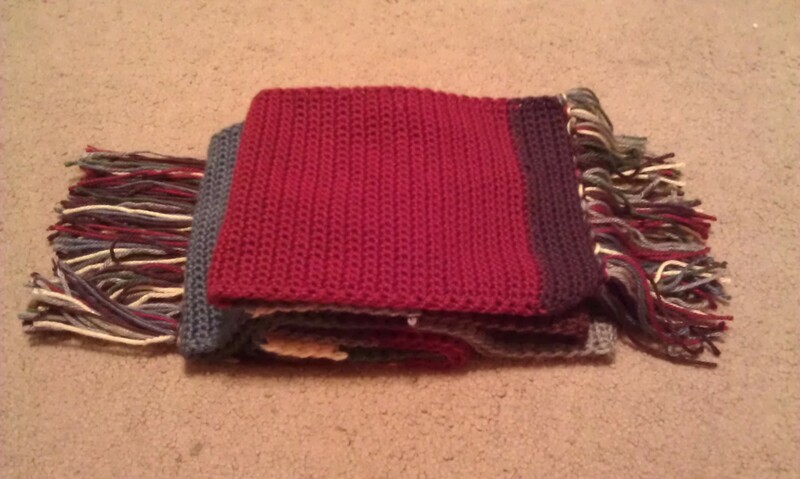 When I wasn't spending all of my free time working on Charlie's scarf, I started wrapping CHRISTMAS presents! What did I just say? Why, yes, I've started Christmas shopping. I'm very proud of myself. 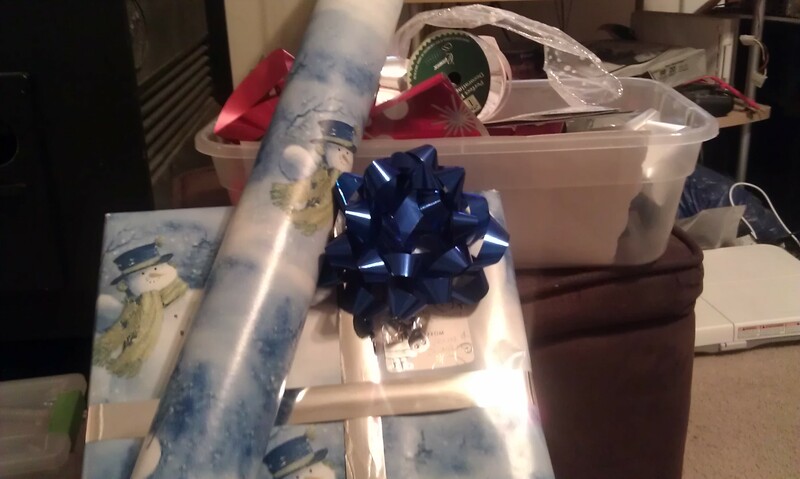 After wrapping the first present, I asked Charlie to put up our Christmas tree so I could put the presents underneath. Charlie refuses to put up the tree before Thanksgiving. 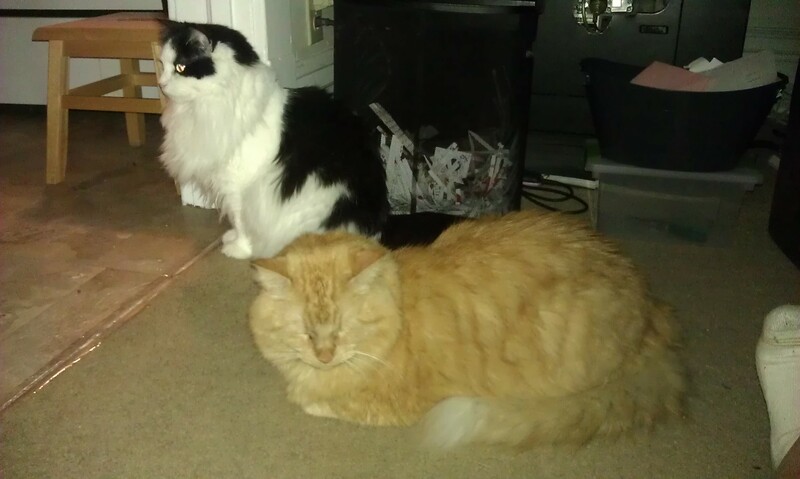 Charlie and I had an amazing time (please note the heavy sarcasm) taking the cats to the vet for their annual shots. As soon as I stepped outside with Clara in a carrier, she started howling or crying in fear. Riley wasn't much better, yowling every five seconds when the car is in motion. I'm grateful the shots are given on an annual basis. Congrats on finishing the scarf! 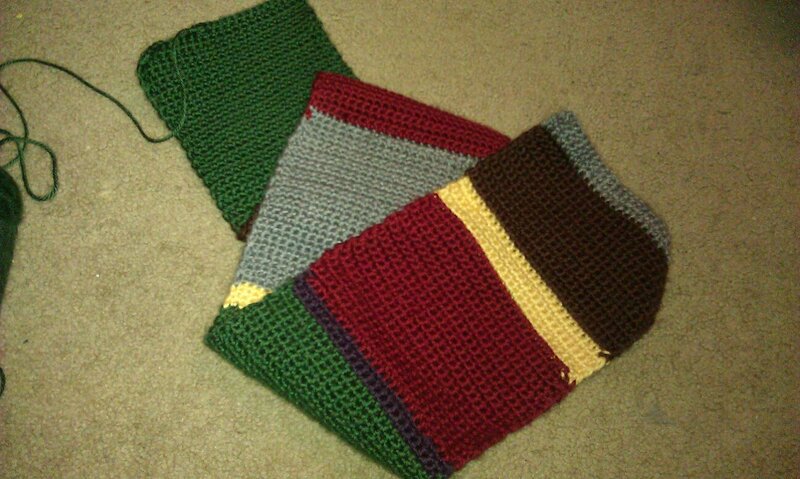 Strangely enough, I’ve crocheted many things, but not a scarf.